In less than a year, Microsoft will no longer support Windows XP, so what does this mean for your business? Not having support means that your company’s PCs could be susceptible to attack. 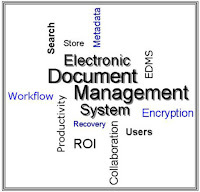 As you analyze and test mission critical applications, now is the time to consider your document management system. If you simply save documents on hard drives and servers, those unsecured and unencrypted documents are highly vulnerable. Odds are you are in the process of migrating to a more modern operating system, so now is an ideal time to implement electronic document management systems (EDMS). DigitalDrawer from AscendoSoft is the EDMS that stores, organizes, and manages documents and provides fast, security controlled access to these documents throughout your company. DigitalDrawer is user-friendly, easily customizable and can be rapidly deployed. So, whether you are a current user in the process of updating and modernizing your IT systems or just currently thinking about an EDMS, DigitalDrawer is a secure, cost-effective solution. Learn more and request a quote here. See what current customers are saying about DigitalDrawer.